If someone moves around within your organization, they may need to be assigned a new manager. 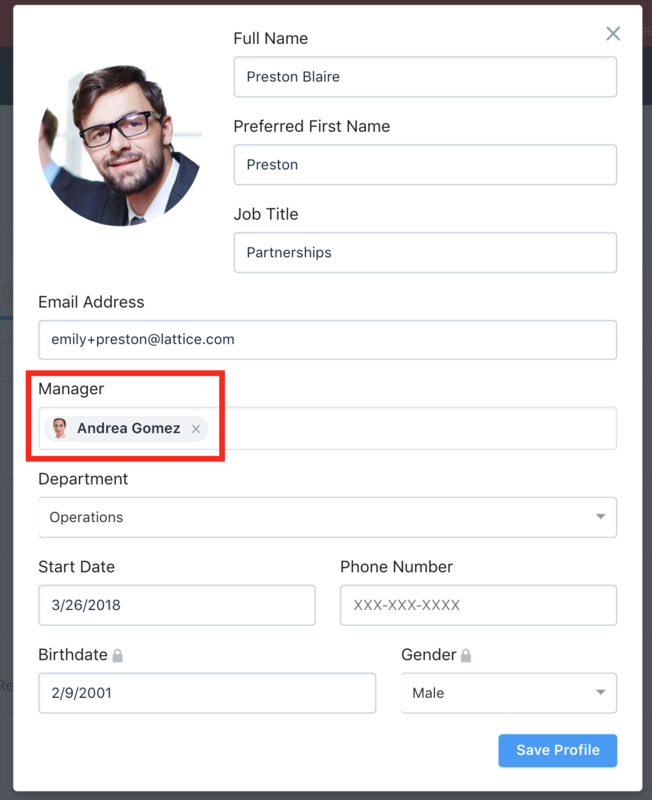 To change someone's manager within Lattice, Admins can go to the People section of the Admin Panel. Step 5: Click on "Save Profile"